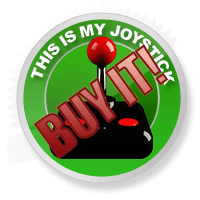 The Last of Us Review - This Is My Joystick! The Last of Us is a third-person stealth action game brought to us by Naughty Dog, the creators of the Uncharted franchise and pioneers of the rollercoaster action video-game. Coming from such a prestigious software house you would expect a certain degree of excellence from The Last of Us and in this respect your expectations will be completely satisfied. The game takes place twenty years after a bizarre fungal infection has reduced the majority of the world’s population to either struggling survivors or ravenous infected. You play the role of Joel, a building-contractor-turned-smuggler who has a suitably tragic backstory, who is charged with the protection and transport of 14 year old Ellie; a mysterious girl who was born after the infection was in full swing. Interestingly, the thing I was most worried about in The Last of Us was the character development. Heralded as ‘gaming’s Citizen Kane moment’ by Empire Online, their claims made me instantly worried for either a glaringly wooden voice talent ensemble or disproportionate, jerky animations. Admittedly, when Ellie and Joel start talking for the first time, each line does feel a little spoon-fed and forced, but you soon realise that this is part of the character building. By the time the game reaches its second quarter, you start to see a bonding between Ellie and Joel, with little back and forth conversations between combat sequences lending much depth to their journey. 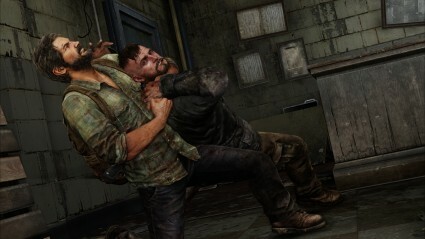 Joel and Ellie’s relationship is the lynch pin of the story. The game is well-structured, switching between exploration moments and combat encounters with perfect pacing. You are told soon into the game that each combat encounter has many different paths and possible outcomes, but this is sadly not true. There are only really three outcomes with any combat situation in The Last of Us: you sneak past the enemies; you silently take down all the enemies; you go in guns blazing like you accidentally started playing Painkiller. The latter of these options is never usually recommended during the first portion of the game. You’ll have very few weapons and very little ammo, but moving through the game you’ll become more accustomed to mixing up your playstyle, taking your enemies out only if needs be and resorting to guns when you either know that it’s a situation you can handle or you have no other choice (if you’re ambushed for example). Usually you can walk into any encounter in any game of this type (stealth action) and know that with enough bullets you can clear the room. 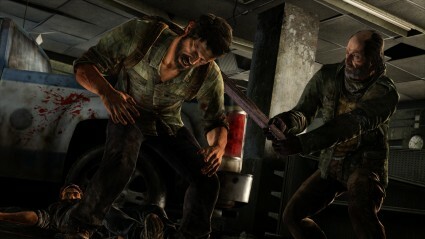 With The Last of Us, however, despite perhaps having four separate guns in your possession you can only carry a worryingly small amount of ammo for them. This means that no one gun ever feels too overpowered and it still leaves you with that inescapable sense of vulnerability. You have the option to swap out your guns mid-fight but this must be done in real-time by rummaging through your bag whilst enemies converge on you. Mêlée combat is something of a different story. Joel is a heavy fisted guy, he feels deliberately clumsy to begin with and this is how his character is supposed to be portrayed. You’re not playing as Nathan Drake, experienced adventurer or any other protagonist; you’re playing as a guy who has spent the last twenty years scraping by, probably suffering from dehydration, starvation, malnourishment and fatigue more than once or twice every few weeks. Picking up mêlée weapons, such as baseball bats or iron bars can naturally give you the tactical advantage, and with the Dead-Rising-esque ‘Duct-Type’ system you can fashion stronger mêlée weapons as you go along. Also mêlée attacking enemies near environmental objects can yield surprising results; start punching a bandit near a stone column and Joel will finish off the enemy by slamming his head into it. The entire combat system is very well thought out and it’s something that Naughty Dog should be very proud of. While trying to be as stealthy as possible and avoiding gun-toting bandits and flesh hungry monsters, Joel also has the innate ability to ‘focus his hearing’. This is essentially a pseudo-sonar, similar to the Detective Mode from the Arkham games. This, along with some other attributes (weapon sway, crafting speed etc) can be upgraded throughout the game by collecting pills and tablets. I wouldn’t get too attached to Joel’s hearing however; during Survivor Difficulty it’s completely disabled. I personally think this is a good thing as the ability, while useful, can sometimes become a bit of an immersion-damaging crutch. The action gets pretty brutal at times. Unfortunately, The Last of Us isn’t without its issues. Granted there are only a few of them, but they are there nonetheless. The A.I. behaviour can be very hit-and-miss sometimes. Two good examples of this, which seemed to happen more frequently than I’d like, is where I would remain perfectly still to avoid an Infected seeing me and Ellie would randomly decide to run out of cover a few feet and then run back. This in turn meant that a greater number of Infected would then descend upon us, prompting a quick visit to the ‘Restart Encounter’ button on the menu. Another example is the enemy’s apparent development of x-ray vision. There were a number of times when enemies would see me through large, solid objects with no noticeable viewing points. Dumpsters; cars on their side; parts of buildings; it didn’t matter. While by no means a deal breaker, this also prompted a quick-load and was somewhat of an annoyance. The story’s emotional payout is helped massively by the utterly fantastic facial animations and design. Granted, in three years’ time we’ll probably look back on these facial animations and laugh (see L.A. Noire for an example of this), but the subtle little intricacies really help make The Last of Us come to life, be it the worried look in Ellie’s eyes as the pair are hiding from a vicious ‘Clicker’ infected (a one-hit killer) or the eyes rolling into the back of an enemy’s head as Joel performs a silent takedown. Even the smallest touches, such as moving through a watery area leaving Joel’s clothes and the base of his backpack wet make all the difference. These are the moments that make you realise that The Last of Us has now become the benchmark for these types of flourishes. The only (and I mean only) complaints I have about the graphics are the very occasional moments where you would see the thin ‘join line’ against the seam of a wall and the ceiling. It’s a tiny nit-pick and something that we as gamers ignore everyday, but it’s still there in some areas. As I mentioned earlier in this review, the character development is something I worried about with The Last of Us, but fortunately the voice talent behind the game make the characters not only palatable, but extremely believable. There are no fake “Oofs” and “aahs” to signify damage taken. Characters shout, scream and cry with a real sense panic in their voices, which in some scenarios will give you major chills. What really helps is that while the game offers a full soundtrack, not much of it is actually used in gameplay. This means that when the music does kick in, it’s more impactful, especially when Joel and Ellie are talking or the moments that a large vista comes into shot. There is a multiplayer component included in The Last of Us entitled Factions, and while it offers a slightly unique take on the typical multiplayer modes packed in with action games, it struggled to keep me completely interested. In Factions, you play as either a member of the Hunters or the Fireflies (these factions are explained during the campaign) and your main objective is to survive encounters with the opposing faction and help your clan grow. You do this by undertaking missions such as “Supply Raid” and “Survivors”, where you have a limited number and a single life in the battle respectively. As stated, while certainly fun, it all feels slightly lacking. I can’t help but feel that a mode that included some infected would have made the multiplayer portion of the game a bit more complete. The entire single-player campaign will probably take you somewhere between 12-15 hours depending on your level of exploration and, personally, it’s a thoroughly enjoyable game to immerse yourself in. Is it worth your money? Yes, absolutely no question. Next to Portal 2, this game should be one you show people, even non-gamers to demonstrate to them how the industry is moving forwards in regards to storytelling, voice acting, graphical technique and overall experience. What about Empire Online’s comment; is The Last of Us gaming’s Citizen Kane moment? No, absolutely not. The Last of Us will, quite rightly, be remembered as the benchmark for many things, but it is in no way as controversial nor culturally significant as Citizen Kane was to the movie industry. 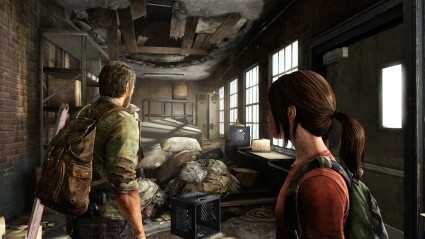 The Last of Us is more reminiscent of The Road in terms of cultural significance. It takes the post-apocalyptic storyline, which has been grossly overused in all forms of media recently, and takes it in a slightly new and more personal direction. Its own genre is all the better for its existence.